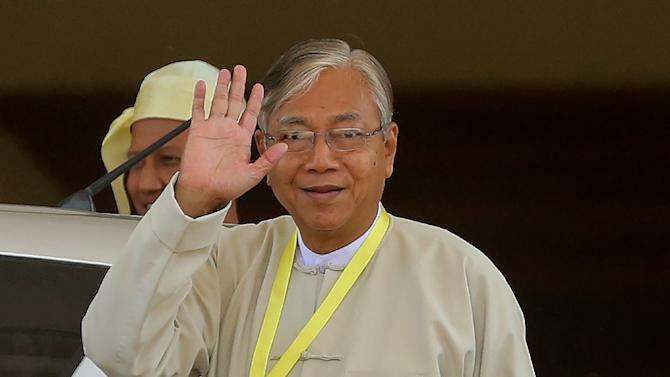 Myanmar's parliament, the Hluttaw, has elected Htin Kyaw (69) as the first non-military President of country since the army took power in a 1962 coup. He is a close adviser and loyal friend of Aung San Suu Kyi, whose National League for Democracy (NLD) party swept to victory in historic elections in November. Htin Kyaw won with 360 of the 652 votes cast in the two houses of parliament while Military-nominated Myint Swe received 213 votes and stood second followed by the other NLD candidate, Henry Van Thio at third position who got 79 votes who will act as first and second vice president. Aung San Suu Kyi, who is affectionately known as Myanmar's 'Lady' is noted Social Democratic stateswoman, politician and president of the National League for Democracy (NLD) in Myanmar has led the NLD for three decades, sometimes under house arrest, but cannot be president, as the constitution prevents anyone with children who are citizens of another country from becoming president. Both of Suu Kyi's adult sons are British citizens so she elected in her place is her close friend Htin Kyaw, who served as an executive officer for the Daw Khin Kyi Foundation, a charitable organization named after Suu Kyi's late mother. As per Myanmar’s constitution adopted in 2008, President is elected under a complex system in which the two chambers of parliament nominate two presidential candidates and military MPs nominated a third candidate, assuring the army continued influence. The army also retains 25% of seats in parliament under a 2008 constitution that it drafted, giving it an effective veto on constitutional change. It also keeps key ministerial portfolios related to security.